for the last three years were $43-57 million. The debate in Goa is whether the cathedrals are centres of worship or tourist destinations. The religion versus heritage conflict is mandating a balancing act by the state government between religious sentiments and foreign money. The friction came to the fore after the authorities of the Basilica of Bom Jesus banned entry of tourists wearing “the” beachwear. Visitors coming to see the church are now screened and if a bikini-clad tourist appears keen on entering the 16th century baroque-style monument, they are asked to cover up with a shawl, provided by the church authorities. The rules of exposure apply to both men and women. “We are not stopping anyone from visiting the church. We are only saying that they will have to dress appropriately. One should not forget the fact that they are on holy premises,’’ said Fr Savio Barreto, Rector of the world famous basilica. According to him, the church authorities were forced to take a stand following numerous complaints from believers about bikini-clad merrymakers ruining the sanctity and decorum of the religious place. “It is our duty to maintain the sanctity of this place of worship,’’ he said, insisting that no tourist had so far protested against the stricture that came into effect this month. But the ASI is worried that the church ruling could hurt the image of Goa as a tourist destination. So sensitive that it has put the ruling BJP government in a fix. “We are aware of the controversy. But it is a sensitive issue and has to be dealt with extra care especially because the state is ruled by a BJP government,’’ said an official with the State Tourism Department. Goa now has a inflow of 2.6 million tourists every year. The government has already announced its plan to increase it to 6 million in the next five years by projecting it as a destination which has more than just “beaches and pubs”. Last year, revenue from foreign tourists was around `6,000 crore. This is not the first time that the ASI and the Goan church authorities have locked horns on the same issue. Two years ago, the church authorities had threatened to ban the entry of bikini-clad tourists altogether. Then the matter was sorted out after ASI and church bodies reached an agreement allowing churches to put up signboards on dress code for visitors. However, the move did not work, as tourists continued to come to cathedrals in their beachwear, ignoring the advice on the boards to be appropriately dressed. 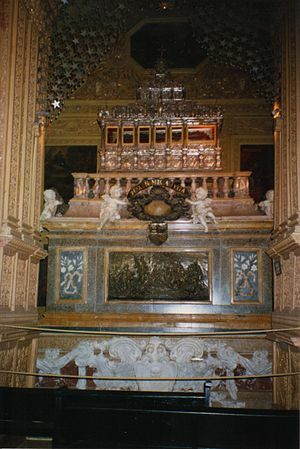 “We have been forced to take this decision as the signboards were not taken seriously by the tourists,’’ said a priest of the Basilica, which houses the relics of St Francis Xavier, patron saint of Goa who died in 1552. He pointed out that it is not just the churches which are trying to put a dress code in place. “A number of temples, including the Mangesh temple and Mahalsa Narayani Temple have already been doing this,’’ he said. But ASI insists that there is no comparison between footfalls in the famous Goan cathedrals and the temples. “Moreover, they are not under the protection of ASI,’’ said the official. In fact, bikini is an issue not just for religious institutions alone but also for ruling governments. At various points of time, successive Goan governments have moved to ban bikinis from beaches following law and order issues and pressures from local people, only to backtrack. After all, Goa’s positioning in the tourist maps as a beach destination was at stake. Will the Hierarchy of Archdiocese of Bombay take a cue from Pope Francis and be open to questions by Laity? 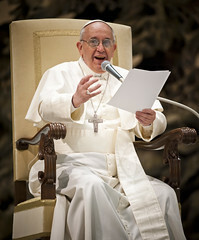 VATICAN CITY (CNS) — Pope Francis ditched a 1,250-word prepared speech to students saying it would be “a tad boring” to read out loud and opted instead to just quickly hit the high points and spend the rest of the time answering people’s questions. “Would you like that?” he asked as some 9,000 students, alumni and teachers from Jesuit-run schools and associations in Italy and Albania yelled “Yes” with cheers and applause. Then over the course of 30 minutes, Pope Francis answered 10 questions, including how to deal with doubt, how to live with hope in a troubled world and whether Christians should be politically active. The special event in the Vatican’s Paul VI hall June 7 was an occasion for young people, parents and educators to highlight the Jesuit charism, particularly in the field of education, and to celebrate the election of the first Jesuit pope in the church’s history. The pope is well-versed in the field since when he was Jesuit Father Jorge Mario Bergoglio, he spent a number of years teaching literature, psychology and other subjects at Jesuit-run schools in Argentina. One girl asked him why he chose not to live in the apostolic palace. His decision to live in a simple Vatican-run residence wasn’t motivated by trying to live up to some kind of “personal virtue,” but rather “it’s for psychiatric reasons,” he said teasingly. But he did add that he tries to live as simply as possible, “to not have many things and to become a bit poorer” like Christ. Extreme poverty in the world “is a scandal” and “a cry” for help, he said. That is why “each one of us must think how we can become a little bit poorer” and more like Christ. One teenage boy told the pope that he was trying hard to believe in God and be faithful, but that he often struggled with doubt. “What can you say to help me and others like me?” he asked the pope. Pope Francis said the journey of life “is an art” that isn’t easy because it requires juggling the need to move forward with the importance of taking time to reflect. Life’s journey “is truly the art of looking at the horizon, reflecting on where I want to go, but also putting up with the fatigue from this journey,” he said. Don’t be afraid of failure,” he insisted. The problem with the journey of life and faith isn’t falling; it’s not getting back up. “Get right back up, immediately and keep going,” he said. Don’t embark on this journey alone either, he said, because that would be “awful and boring.” Go as a “community with friends and people who care about you very much because that will help us get to our destination,” he said. One little girl wanted to make sure the pope had friends growing up in Argentina and, wanted to know if, now he was pope, whether he was still friends with them. Laughing, the pope said he’s only been pontiff for two and a half months, but as she rightly imagined, all his friends were now far away, “14 hours by plane” to be exact. However, so far, three friends have come to visit him and he stays in touch with the others who all write to him. He laughed and said a person who wants to become pope doesn’t have his own best interest at heart. “God doesn’t give him his blessings. No, I didn’t want to become pope,” he said. A young woman asked how it was possible to stay hopeful in a country plagued by so many crises. The pope said crises are good when they force people to address their root cause — the complete disregard for the human person. People have become slaves, and Christians have the duty to defend the human person. The one adult — a Spanish and religion teacher — who asked the pope a question, wondered what kind of role, if any, Catholics should play in politics. It’s easy to blame others, he said, but people need to ask themselves: “Me? What am I doing” about it?